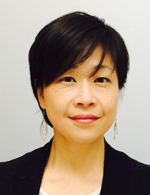 Home > Departments > Faculty > Betsy P. Huang Ph.D. Professor Huang is an Americanist who studies the intersections of Asian American Literature, American Multi-Ethnic Literatures, Science Fiction, Genre Theory, and Critical Race and Ethnic Studies. Her work focuses on the critical roles different literary and media genres play in the constitution of the “minority,” the citizen, and the human. She teaches literatures on the margins—narratives by and about people living in spaces of social and historical invisibility. Her aim is to inspire readers to read texts written by those to whom they often profess they cannot relate, and to teach the critical instruments for understanding and theorizing the experiences captured in the texts. Professor Huang's courses include: Fictions of Asian America; Ethnic America: Literature, Theory, Politics; Major American Writers II; Speculative Fiction; Science Fiction and the Mind of the Other (with Scott Hendricks, Philosophy); and Race, Genre, and Autobiography (with Shelly Tenenbaum, Sociology). Contesting Genres in Contemporary Asian American Fiction. Betsy Huang. Palgrave Macmillan, 2010. 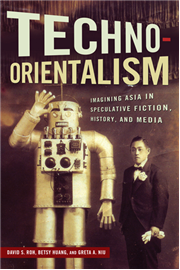 Techno-Orientalism: Imagining Asia in Speculative Fiction, History, and Media. Edited by David Roh, Betsy Huang, and Greta Niu. Rutgers University Press, 2015. Diversity and Inclusion in Higher Education and Societal Contexts. Edited by SunHee Kim Gertz, Betsy Huang, and Lauren Cyr. Palgrave Macmillan, 2018. Asian American Literature in Transition, Volume Four: 1992-Present. Edited by Betsy Huang and Victor Roman Mendoza. Series Editors: Min Hyoung Song and Rajini Srikanth. Cambridge University Press, forthcoming. “How to Live Safely in a Science Fictional America: Charles Yu’s Immigrant Utopianism.” Race and Utopian Desire in American Literature and Society. Edited by Edward K. Chan and Trish Ventura. Palgrave Macmillan, forthcoming. “Westworld Dreams: A Dialogue.” Lawrence-Minh Bui Davis and Betsy Huang. Machine Dreams Volume 1. Edited by Margaret Rhee. UCLA and University of Oregon, 2017. 70-75. “Popular Genres and New Media.” Cambridge Companion to Asian American Literature. Edited by Crystal Parikh and Daniel Kim. Cambridge University Press, July 2015. “Premodern Orientalist Science Fictions.” MELUS 33.4 (Winter 2008): 23 – 43. “Citizen Kwang: Chang-rae Lee’s Native Speaker and the Politics of Consent.” Journal of Asian American Studies 9.3 (October 2006): 243 – 269. “Interview with Ken Liu.” Interviewed by Betsy Huang. Asian American Literary Review (AALR) Special Speculative Fiction Authors Interview Series. 16 August 2012.